This is a super cute and easy craft to make for your Halloween decor! 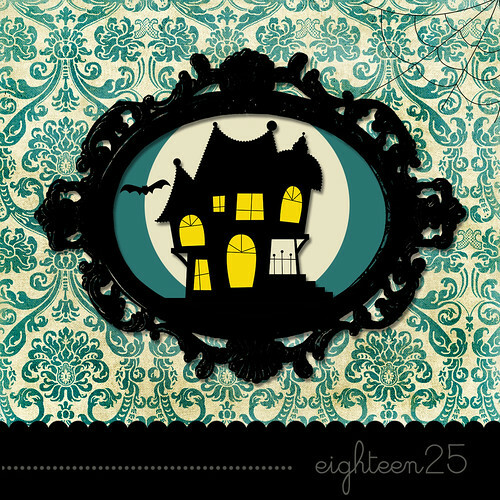 Download the "Trick or Treat Smell My Feet" HERE. Print on white cardstock & cut out along lines. 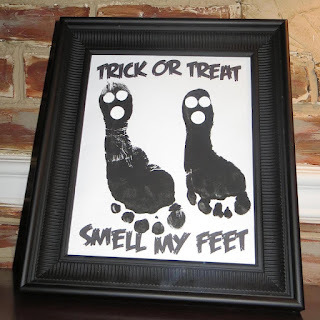 Add your child's footprints in black acrylic paint. Let dry. Add eyes & mouth circles with white acrylic paint. Let dry. Put in an 8x10 inch frame and enjoy! !